GREENFIELD MA— The security union at Baystate Franklin Medical Center filed an unfair labor charge with the National Labor Relations Board on Wednesday over the firing of two officers and for not receiving their annual merit raises. This makes four unfair labor charges filed since the union, representing 20 officers, formed in February. GREENFIELD — The security union at Baystate Franklin Medical Center filed an unfair labor charge with the National Labor Relations Board on Wednesday over the firing of two officers and for not receiving their annual merit raises. This makes four unfair labor charges filed since the union, representing 20 officers, formed in February. The security union joins the nurses union in its filing of unfair labor charges against the Greenfield hospital. Three of its officers have been let go by the hospital since the union was formed, with one of them receiving severance pay. 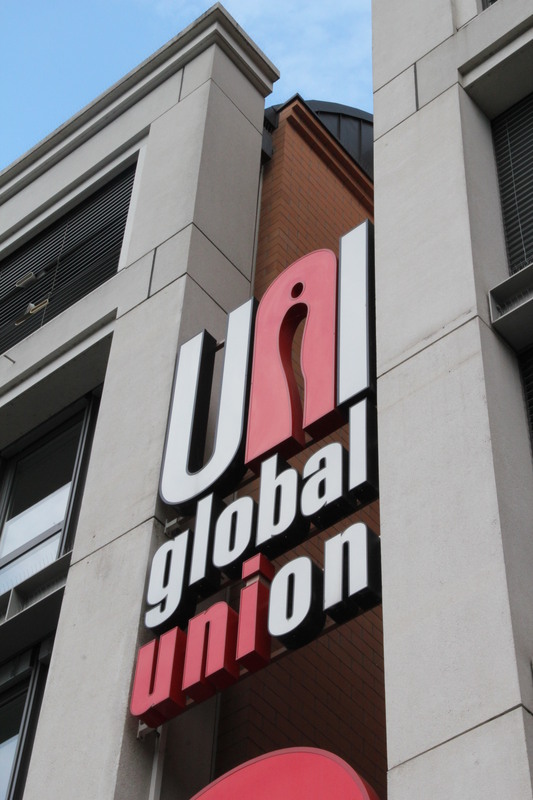 The security union is still negotiating its first contract since forming the collective. The nurses have also been in negotiations with the hospital, since November, negotiating their expired contract. The local Massachusetts Nurses Association chapter demands to Baystate Franklin include increased security officers, particularly at night. The nurses say it is a matter of safety for the hospital, its employees and its patients. Baystate Franklin Medical Center said anyone who wants to complete a form and allege an unfair labor practice can by going to the labor board’s website. President Cindy Russo said the hospital is going through its proper investigation. “I respect the confidentiality of my employees unlike the union that has not shared that same respect,” Russo said. Nurses give petition to Baystate Medical. Nurses and their supporters picket along High Street outside the Baystate Franklin Medical Center on Thursday. recorder file photo. Previous; Next. By JOSHUA SOLOMON Recorder Staff. Tuesday, May 02, 2017. 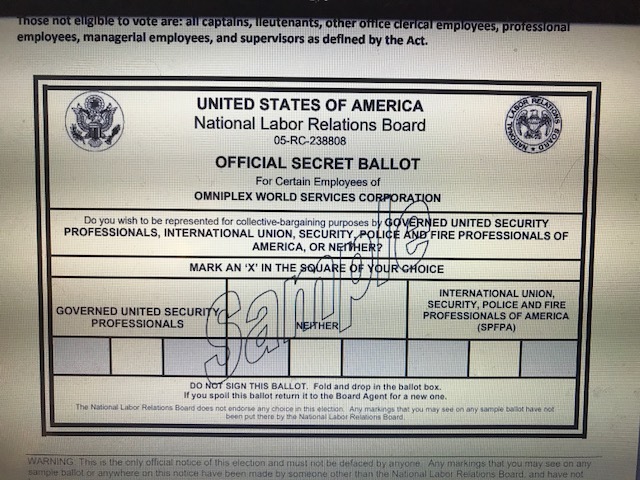 Washington DC – On Good Friday, April 14, 2017, the National Labor Relations Board concluded the mail ballot election in case number 05-RC-194020 between the Law Enforcement Security Unions LEOSU-DC and the Security Police Fire Union from Roseville, Michigan which has a long history of embezzlement and corruption as well as many Department of Labor and NLRB violations to determine who will have the privilege of representing the security officers, security assistants, security specialists, and security receptionists working for Security Support Services, LLC, at NASA headquarters in Washington DC. In the end, when all was said and done, the Law Enforcement Security Unions LEOSU-DC was the victor, winning in a landslide victory and the Security Police Fire Union losing in an embarrassing loss receiving only 4 votes out of 43 votes. Steve Maritas, Organizing Director of LEOSU-DC noted this landslide victory by LEOSU-DC clearly shows that these NASA security officers were fed up with the lack of service and the lack of representation by the Security Police Fire Union. Noting that many of these NASA officers have complained that this union hasn’t been seen or heard from in almost 3 years. 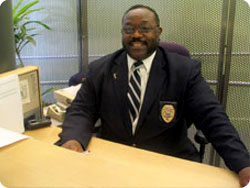 Once LEOSU-DC filed an election all of sudden Security Police Fire Union Region 4 Vice President Joseph McCray wanted to hold meetings to find out what was some of the problems at this facility. “Where has this union been for 3 years?” noted one NASA security Officer. 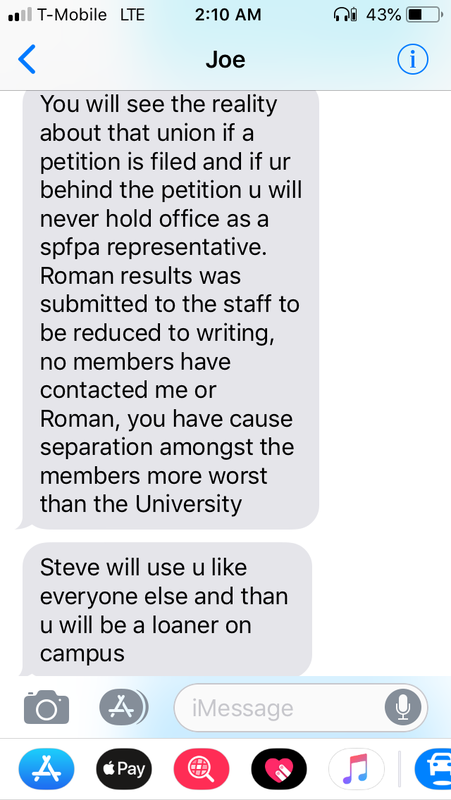 What makes this victory so sweet noted LEOSU-DC Organizing Director Steve Maritas, is that on April 11, 2017 the Security Police Fire Region 4 Vice President sent an email to Security Police Fire Union President David L. Hickey mocking Maritas. In this email exchange that was cc to Maritas, the Security Police Fire Union took the low road of name calling as well as claiming “SPFPA has all the Aces” -“You called Down the Thunder Well You Got It” stated McCray. In the end the “LEOSU-DC had the last laugh” stated Maritas. As to McCray, Maritas noted “the immaturity of both McCray & Security Police Fire International President David L. Hickey”clearly shows you the kind of security union they really are. Between the lack of leadership, the immaturity and all the corruption & embezzlement going on at the Security Police Fire Union, it is no wonder why, so many members are leaving this organization, approximately 15,000 members since 2013”. Stated Maritas. Maritas also noted that “there are only four (4) aces in a deck of cards which is exactly the same number of votes the Security Police Fire Union received in the NASA HQ election”. 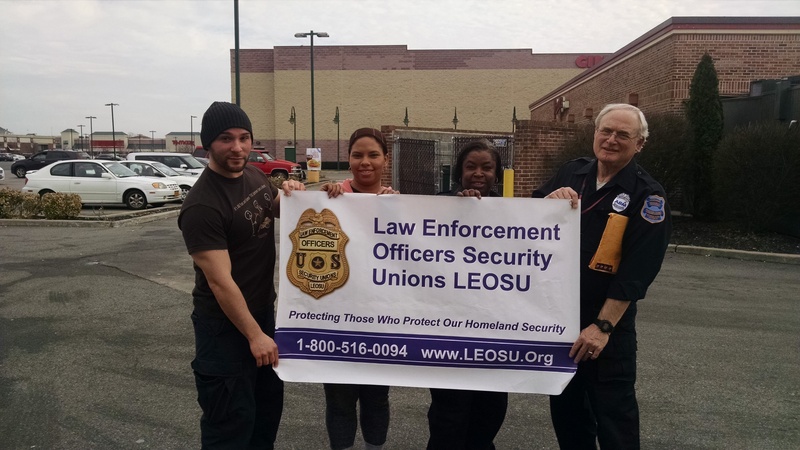 In the next few weeks the officers working at the Department of Transportation in Washington DC and the campus safety officers & dispatchers working at Trinity College now represented by the Security Police Fire Union will have an opportunity to decertify them and vote for LEOSU-DC & LEOSU-CT representation. We wish to welcome all of the NASA security officers into the LEOSU-DC family and “we promise we won’t let you down”. NASA Headquarters, in Washington, provides overall guidance and direction to the agency, under the leadership of the Administrator. Ten field centers and a variety of installations around the country conduct the day-to-day work in laboratories, on air fields, in wind tunnels, and in control rooms. Together, this skilled, diverse group of scientists, engineers, managers, and support personnel share the Vision, Mission, and Values that are NASA. To implement NASA’s Mission, NASA Headquarters is organized into five principal organizations called Mission Directorates: Aeronautics: Pioneers and proves new flight technologies that improve our ability to explore and which have practical applications on Earth. Science: Explores the Earth, moon, Mars, and beyond; charts the best route of discovery; and reaps the benefits of Earth and space exploration for society. Space Technology: A catalyst for the creation of technologies and innovation needed to maintain NASA leadership in space while also benefiting America’s economy. Mission Support: Oversees the management of the institutional functional areas that support the Agency mission. … Police and Fire Professionals of America union officials. 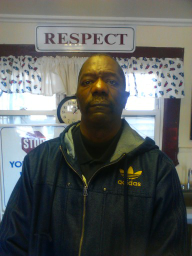 … Security, won a deauthorization election against the Security police fire union. … has recognized the Security, Police, and Fire union hierarchy as their monopoly bargaining agent. 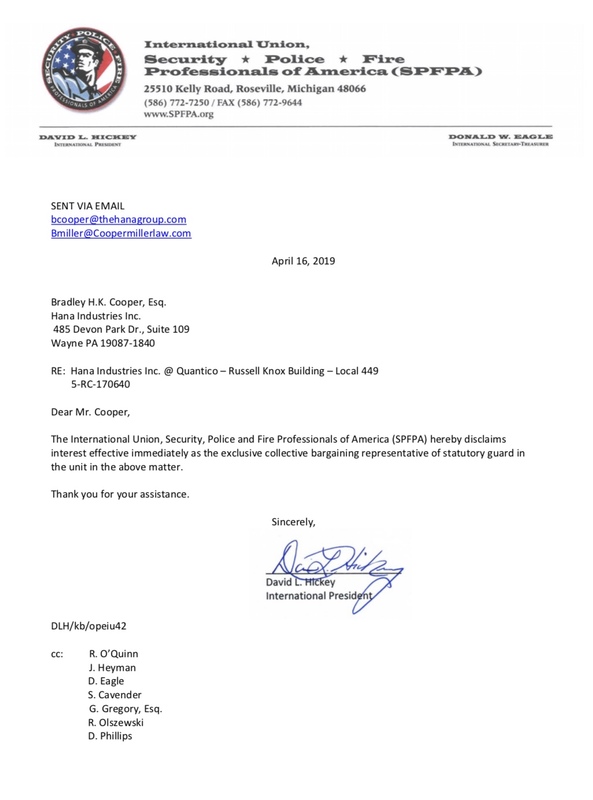 Security Police Fire Union – NLRB Email Charging them with Illegally Stealing Members from a rival union & illegally charging these security officers dues. Washington DC- On Friday, March 24, 2017, the National Labor Relations Board NLRB in Case Number: 05-RC-194020, will be mailing out ballots to see if the security officers, security assistants, security specialists, and security receptionists working for Security Support Services, LLC, (Quality Investigations Inc a Akal Security company) at NASA headquarters wish to be represented by the Law Enforcement Officers Security Unions LEOSU-DC. See NASA Notice of Election. Presently these officers are under contract with another security union Security Police Fire Union from Roseville, Michigan which has a longhistory of embezzlement and corruption as well as many Department of Labor and NLRB violations. Washington DC- In addition to filing an election to represent the security officers protecting NASA Headquarters in Washington DC the Law Enforcement Security Officers Union LEOSU-DC has also filed an election with the National Labor Relations Board NLRB to represent the 100 plus security officers working at the IRS headquarters in Washington DC as well as IRS headquarters in New Carrollton, Maryland. These IRS security officers are to represented by the Security Police Fire Union of Roseville MI. 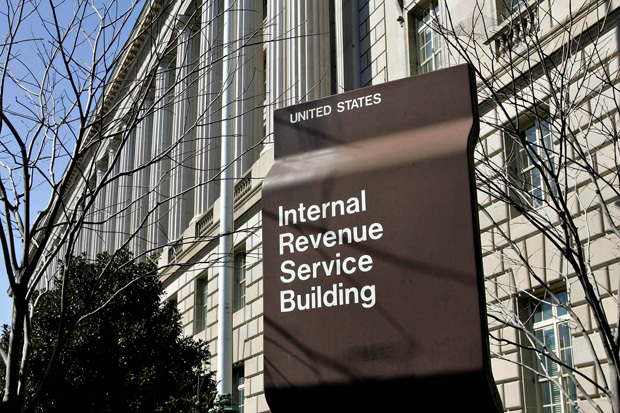 The IRS headquarters in New Carrollton, MD is probably the most hated institution in America – mainly because its primary role is to force people to hand over their hard-earned cash. Because it is listed as the most hated institution in America the security officers who are assigned to protect this Maryland location as well as its Washington DC are more prone to a domestic terrorist attack. 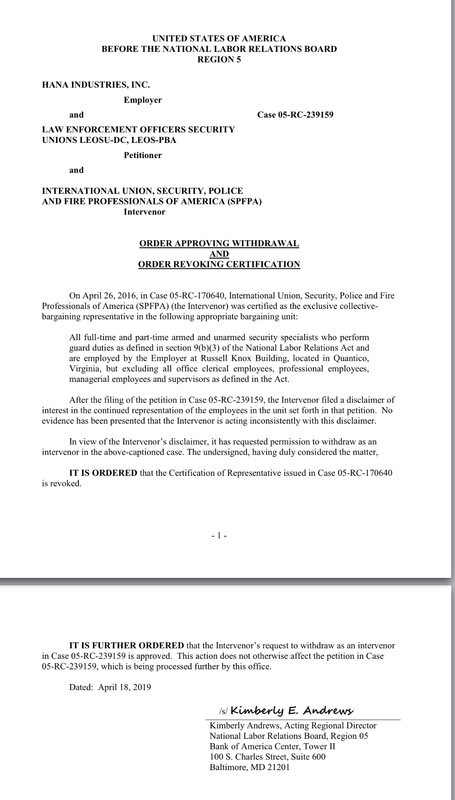 The company who presently has the security contract for both IRS headquarter locations is Security Walls, LLC. 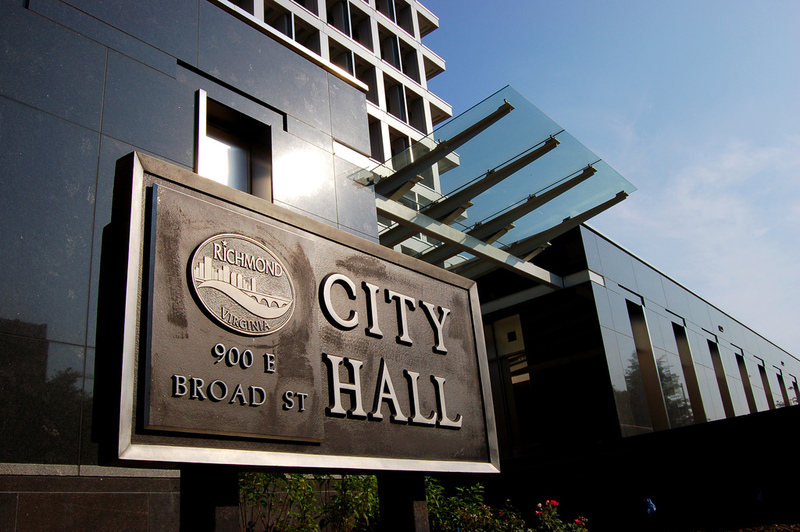 Richmond, VA -The Fight for $15 Continues in Richmond Virginia as the Security Officers working for Swanson Services, LLC a Minority Contractor of Allied Universal Vote Unanimously in favor of LEOSU-DC Representation. Richmond Virginia – March 7, 2014 – On the heels of victory back on 1/24/2017 by the security officers working for Allied Universal on the City of Richmond contract, fifty (50) Swanson Security officers followed suit and stood strong by voting unanimously in favor of LEOSU-DC representation with the employer receiving 0 votes. Swanson Services, LLC, (Swanson Security) is a minority contractor of Allied Universal working on the City of Richmond contract states LEOSU-DC Organizing Director Steve Maritas. While the Swanson security officers working along side the Allied Universal officers, essentially perform the same duties and functions as the Allied Universal officers, these Swanson Security officers are making much less in regards to wages and benefits. 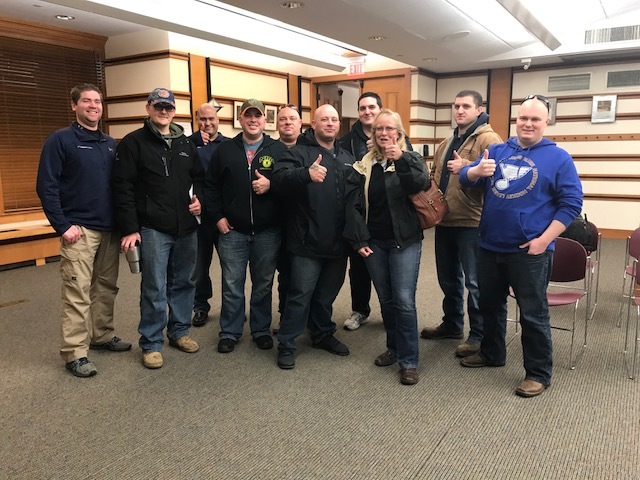 With the combined strength of almost 100 security officers working on the same contract, the union will attempt to negotiate one master agreement for both companies. This is the game plan noted Maritas. We welcome these Swanson Security officers as well as the Allied Universal officers into the Law Enforcement Officers Security Unions (LEOSU-DC family. We promise to not let you down! The National Labor Relations Board protects the rights of most private-sector employees to join together, with or without a union, to improve their wages and working conditions. Create the impression that you are spying on employees’ union activities. Interview employees to prepare your defense in an unfair labor practice case, unless you provide certain assurances. You must communicate to the employee the purpose of the questioning, assure him against reprisals, and obtain his voluntary participation. Questioning must occur in a context free from employer hostility to union organization and must not itself be coercive. And questioning must not go beyond what is needful to achieve its legitimate purpose. That is, you may not pry into other union matters, elicit information concerning the employee’s subjective state of mind, or otherwise interfere with employee rights under the Act. Examples of Section 7 rights . ….. Expedited elections under Section 8(b)(7)(C) . …. Section 8(a)(1)—Interference with Section 7 Rights. Unit Sought: Included: All full-time and part-time armed and unarmed security officers performing guard duties as defined in Section 9(B)(3) of the National Labor Relations Act, employed by Paragon at the buildings covered under the DHS, FPS, contract 1-13-D-00002 in MA Excluded: All office employees, professional employees and supervisors as defined by the Act. Inter Con Security Systems, Inc.
Unit Sought: INCLUDED:All full-time and share-time Court Security Officers and Lead Court Security Officers employed by the employer in the 9th Judicial Circuit at the U.S. Courthouses on Guam and Saipan in the Commonwealth of the Northern Mariana Islands. EXCLUDED: all office clerical employees, professional employees, confidential employees andsupervisors as defined in the Act. Unit Sought: Included: All protective security officers at FDA 5100 Paint Branch Parkway, College Park, MD, FDA 4300 River Rd, College Park, MD, USDA 4700 River Rd, Riverdale, MD. Excluded: All non uniform administrative employees and ranked uniformed supervisors. Unit Sought: Included: Full-time and part-time security guards, as defined in Section 9(b)(3) of the NLRA, assigned by the Employer at White Oak Federal Research Center. Excluded: Office clerical employees, professional employees, Project Managers, Assistant Project Managers, Captains, and all other Supervisors as defined by the Act. 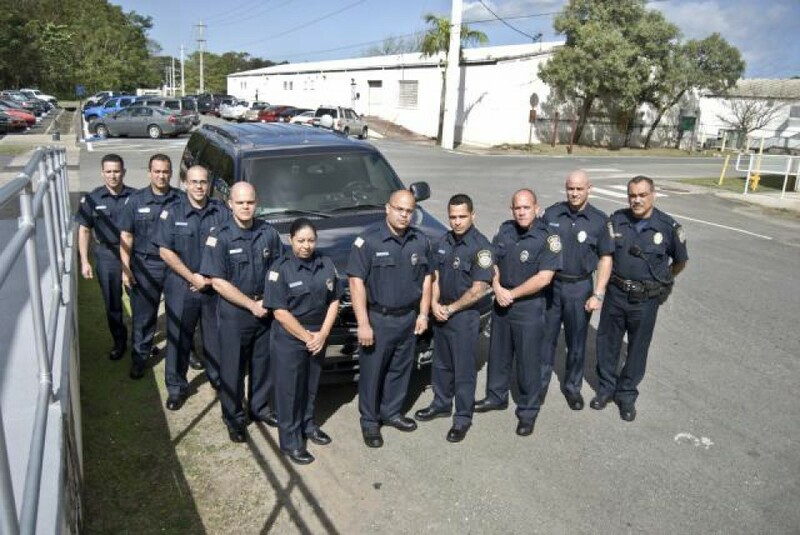 Unit Sought: All full-time and share-time Court Security Officers and Lead Court Security Officers employed by the employer in the 9th Judicial Circuit at the U.S. Courthouses on Guam and Saipan in the Commonwealth of the Northern Mariana Islands and excluding all office clerical employees, professional employees, confidential employees and supervisors as defined in the Act. 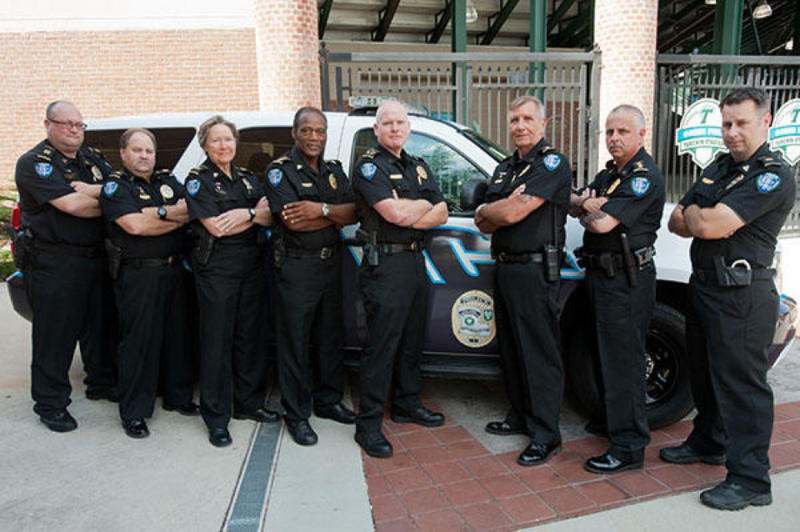 Unit Sought: Included: Department of Energy 20300 Century Blvd Germantown MD 20874/ Armed full-time and regular part-time protective service officers (SPO) and sergeants. Excluded: Lieutenants, Captains, Project Managers, and Supervisors as defined in the Act. Unit Sought: Included: Full time and Part time security officers. Employed at the U. S. Postal sites. Excluded: All other employees as defined in the Act. Unit Sought: All full-time and regular part-time security officers assigned to the Federal Aviation Department of Homeland Security FAA/DHS within CEARP Carolina PR employed by the employer pursuant to its contract with federal government, excluding all other employees and confidential employees as defined in the Act. Unit Sought: Included: ALL FULL-TIME AND PART-TIME SECURITY OFFICERS, PASS CONTROL OFFICER, DISPATCH, RECEPTION OFFICER, HOT WORKS/DISPATCH, EMERGENCY RESPONSE OFFICERS & SPECIAL OPERATIONS OFFICER PERFORMING “GUARD” DUTIES AS DEFINED IN SECTION 9(B)(3) OF THE ACT, EMPLOYED AT ARCELOR MITTAL, BURNS HARBOR, IN 46304. Excluded: ALL OFFICE CLERICAL EMPLOYEES, PROFESSIONAL EMPLOYEES, CAPTAINS, LIEUTENANTS AND OTHER SUPERVISORS AS DEFINED BY THE ACT. Unit Sought: Included: All Security Guards including Leads, Site Admins, Project Office. Excluded: Supervisors as defined by the Act. Unit Sought: Included: ALL FULL-TIME AND PART-TME ARMED AND UNARMED VISITOR REGISTRATION, EMPLOYEE BADGING AND 911 DISPATCHER, PERFORMING GUARD DUTIES AS DEFINED IN SECTION 9(B)(3) OF THE NATIONAL LABOR RELATIONS ACT, EMPLOYED BY PARAGON @ NASA AMES RESEARCH CENTER, MOFFETT FIELD, CA 94035. Excluded: ALL OFFICE CLERICAL EMPLOYEES, PROFESSIONAL EMLOYEES AND SUPERVISORS AS DEFINED BY THE ACT. Unit Sought: INCLUDED: All full-time and part-time armed and unarmed Detention Security Officers performing guard duties as defined in Section 9(b)(3) of the National Labor Relations Act, employed by Asset/GPS @ El Paso Processing Center, 8915 Montana, El Paso, TX 79925. EXLUDED: All office clerical employees, professional employees and supervisors as defined by the Act. Unit Sought: lncluded: All full-time and part-time armed and unarmed security officers & dispatchers performing guard duties as defined in Section 9(B)(3) of the NLRA, employed by Universal Protection Services at Arcelor Mittal, Burns Harbor, IN 46304. Excluded: All office clerical employees, professional employees and supervisors as defined by the Act. Unit Sought: Included: ALL FULL-TIME AND PART-TIIME ARMED AND UNARMED SECURITY OFFICERS PERFORMING GUARD DUTIES AS DEFINED IN SECTION 9(B)(3) OF THE NATIONAL LABOR RELATIONS ACT, EMPLOYED BY PARAGON @ NASA AMES RESEARCH CENTER, MOFFETT FIELD, CA 94035. Excluded: ALL OFFICE CLERICAL EMPLOYEES, PROFESSIONAL EMPLOYEES AND SUPERVISORS AS DEFINED BY THE ACT. 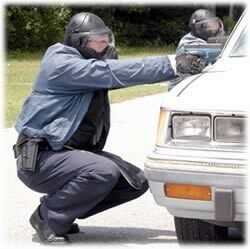 Unit Sought: Included: Armed and Unarmed Security Officer, Special Police Officer’s and Sergeants. Excluded: All Lieutenants, Captains and Project Managers. Unit Sought: Included: Alol full time and part time armed and unarmed secuirity officers employed by the Employer. Excluded: Clerical, managerial, salaried, and supervisory personnel as defined by the Act. Unit Sought: Included: All Regular Full-Time and Regular Part-Time Special Police Officers working at MedStar National Rehabilitation Network; Excluded: Clerical, managerial, salaried, and supervisory personnel as defined by the Act. Unit Sought: Included: All full-time and part-time armed and unarmed correctional officers performing guard duties as defined in Section 9(B)(3) of the National Labor Relations Act, employed by CCA @ 5501 North La Palma Road, Eloy, AZ. Excluded: All office clerical employees, professional employees and supervisors as defined by the Act. Unit Sought: Included: All armed and unarmed security officers employed by the Employer at the Department of Homeland Security National Headquarters located at the Nebraska Avenue Complex. Excluded: All office clericals, managerial personnel, confidential personnel, supervisors (lieutenants and captains) as defined by the Act and all other personnel. Unit Sought: Included: All regular part-time and full time Security Officers engaged to provide Security Services on the Employers contact at the Riddle Hospital 1068 West Baltimore Pike in Media PA. Excluded: All clerical, managerial and Supervisory personnel as defined in the National Labor Relations Act. Unit Sought: Included: All full-time and regular part-time security officers of the employer; Excluded: All office clerical employees, professional employees and supervisors as defined by the Act. Unit Sought: Employees Included: All full-time and regular part-time armed lead security police officers, security police officers, senior alarm monitors, alarm monitors, adminitstrative security officers, security officers of the employer working at the submitted election location Employees Excluded: All office clerical employees, professional employees and supervisors as defined by the Act. St. Moritz Security Services Inc.
Certified Representative: St. Moritz Security Services Inc.
Unit Sought: Included: All security employees Excluded: All other employees, office clerical, non-guards, professional employees and supervisors as defined in the Act. Unit Sought: Included: All full-time and part-time armed and unarmed security officers performing guard duties as defined in section 9(b)(3) of the National Labor Relations Act, employed by North American Security, Inc @ see addendum 1. Excluded: All office clerical employees, professional employees and supervisors as defined by the Act. Unit Sought: Included: All Regular Full-Time and Regular Part-Time Armed and Unarmed Special Police Officers and Dispatchers of the Employer working at Medstar Washington Hospital Center; Excluded: Clerical, managerial, salaried, and supervisory personnel as defined by the Act. Unit Sought: Included: All full-time and regular part-time security guard employees employed by the Employer at its DHS/FEMA Olney Federal Support Center; Excluded: All office clerical employees, professional employee, managerial employees and supervisors as defined in the Act. 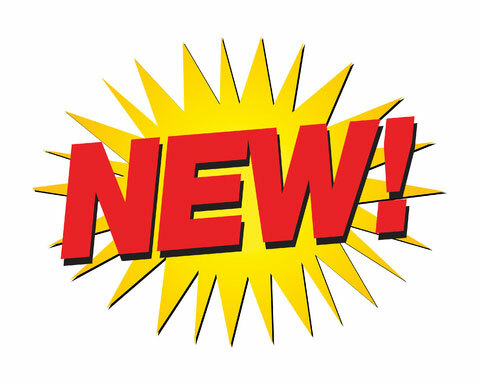 Unit Sought: Included: Correctional Officers Excluded: Supervisors and Administration. Unit Sought: Included: All full-time and part-time armed and unarmed security officers performing guard duties as defined in section 9(B)(3) of the National Labor Relations Act, employed by North American Security, Inc., under Contract# HSHQW9-13-D-0000 1 at the following locations in Reno and Elko: C. Clifton Young Federal Building and U.S. Courthouse, 300 Booth Street, Reno, NV 89509-1317; Bruce R. Thompson Courthouse and Federal Building, 400 South Virginia Street, Reno, NV 89501-2193; United States Citizenship and Immigration Services (USCIS), 790 Sandhill Road, Reno, NV 89521; Veterans Affairs Department, 5460 Reno Corporate Dr. # 131, Reno, NV 89511; IRS Office, 200 S Virginia St, Reno, NV 89501; Social Security Office for Reno, NV, 1170 Harvard Way, Reno, NV 89502; Social Security Office for Elko, NV 89801. Excluded: All office clerical employees, professional employees and supervisors as defined by the Act. Unit Sought: Included: All full-time and regular part-time security officers and lieutenants employed by the Employer. Excluded: All other employees, sergeants, captains, clerical employees, managerial employees, administrative employees and supervisors as defined in the Act. Unit Sought: Included: All full-time and retular part-time security officers and lieutenants employed by the Employer. Excluded: All other employees, seargeants, captains, clerical employees, managerial employees, administrative employees and supervisors as defined in the Act. Unit Sought: Included: All full time and part time armed and unarmed security officers employed by the employer. Excluded: Clerical, managerial, salaried, and supervisory personnel as defined by the Act. Unit Sought: Included: All full-time and regular part-time armed security guards employed by the Company at its locations at Patriots Plaza I, 395 E. Street, S.W., Washington, D.C., and Patriots Plazza II, 375 E. Street, S.W., Washington, D.C. Excluded: Sergeants, Lieutenants, Site Managers, Officers and Directors of the Comnpany; the Project Manager and any Assistant Project Manager; and all other supervisors, managerial employees, confidential employees, and non-guard employees. Unit Sought: Included: All full-time and part-time armed and unarmed security officers performing guard duties as defined in Section 9(B)(3) of the National Labor Relations Act, employed by North American Security, Inc @ various federal sites in and around Las Vegas, NV. Excluded: All office clerical employees, professional employees and supervisors as defined by the Act. Unit Sought: Included: All full-time and part-time armed and unarmed Security Officers Performing Guard duties as defined in Section 9(B)(3) of the National Labor Relations Act, Employed by North American Security, Inc. @ Various Federal Sites in and around Reno, NV. Excluded: All Office Clerical Employees, Professional Employees and Supervisors as defined by the Act. Unit Sought: Included: All full-time and regular part time security officers of the employer working for the employer at its Tower Center in East Brunswick NJ Excluded: Office clerical and professional employees, and supervisors as defined in the Act. Unit Sought: Included: All full-time and part-time , armed or unarmed security officers assigned to the FAA CERAP located at the Munoz Marin Airport in Carolina, PR; excluding: All others employees, managers, office and/or clerical employees, temporarily assigned employees, substitue employees, non-security employees of the Employer, and supervisors as defined in the Act. Unit Sought: Included: All regular full-time and regular part-time employees working as Protective Security Officers (PSO) armed. At its location in Puerto Rico such as Aguadilla, Mayaguez, and Cabo Rojo for US Customs Border Protection Air Marina FPS Federal Contract. Excluded: All managers, supervisors, office and /or clerical employees, and all non-security employees of the Employer. Unit Sought: Included: All full & part-time Security Officers. Excluded: Clerical, Managerial, Administrative and Supervisors and all other Employees. Unit Sought: Included: ALL FULL-TIME AND PART-TIME ARMED AND UNARMED SECURITY OFFICERS PERFORMING GUARD DUTIES AS DEFINED IN SECTION 9(B)(3) OF THE NATIONAL LABOR RELATIONS ACT, EMPLOYED BY COMMAND SECURITY CORPORATION @ USPS LOCATED 1335 JEFFERSON ROAD, HENRIETTA, NY 14692. Excluded: ALL OFFICE CLERICAL EMPLOYEES, PROFESSIONAL EMPLOYEES AND SUPERVISORS AS DEFINED BY THE ACT. Ranger America of the VI, Inc.
Unit Sought: Included: All full tiem and regular part-time security guards Excluded: All other employees, confidential employees and supervisors as defined by the Act. Unit Sought: INCLUDED: All Security Guards employed by the Employer at Young Bros. Shipping Facility EXCLUDED: All Managers, office personnel, confidential employees, and supervisors as defined by the Act. Unit Sought: Included: All full time and regular part time Casino and Racetrack security offers performing guard duties as defined in section 9(b)(3) of the act, employed. Excluded: Office Clerical employees, professional employees and supervisors as defined in the act and all other employees. Unit Sought: Included: All full time and Part time security officers. Excluded: All other employees as defined in the act. 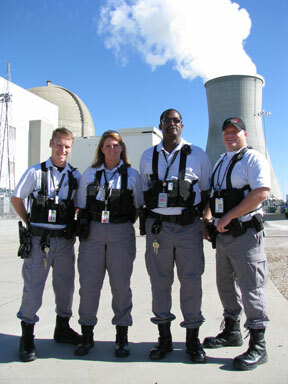 Unit Sought: Included: ALL FULL-TIME AND PART-TIME ARMED AND UNARMED SECURITY OFFICERS PERFORMING GUARD DUTIES AS DEFINED IN SECTION 9(B)(3) OF THE NATIONAL LABOR RELATIONS ACT, EMPLOYED BY G4S SECURE SOLLUTIONS (USA) INC.@ GINNA NUCLEAR POWER PLANT LOCATED 1503 LAKE ROAD, ONTARIO, NY 14519. Excluded: ALL OFFICE CLERICAL EMPLOYEES, PROFESSIONAL EMPLOYEES AND SUPERVISORS AS DEFINED BY THE ACT. Unit Sought: INCLUDED: ALL FULL-TIME AND PART-TIME AND UNARMED SECURITY OFFICERS PERFORMING GUARD DUTIES AS DEFINED IN SECTION 9(B)(3) OF THE NATIONAL LABOR RELATIONS ACT, EMPLOYED BY STARSIDE SECURITY & INVESTIGATIONS, INC.@ ALVARADO HOSPITAL LOCATED 6655 ALVARADO ROAD, SAN DIEGO, CA AND OTHER ASSIGNED LOCATIONS. EXCLUDED: ALL OFFICE CLERICAL EMPLOYEES, PROFESSIONAL EMPLOYEES AND SUPERVISORS AS DEFINED BY THE ACT. Unit Sought: Included: All Full and Part Time Employees working for the Employer at the National Institute of Peace, 2301 Constitution Avenue, N.W., Washington, DC. Excluded: All clerical, managerial, and supervisors as defined by the National Labor Relations Act. Unit Sought: INCLUDED: All security guards employed by the Employer at Waianae Mall Shopping Center. EXCLUDED: All managers, office personnel, confidential employees, and supervisors as defined by the Act. Unit Sought: INCLUDED: All security guards employed by the Employer at Kapolei Commons Shopping Center. EXCLUDED: All managers, office personnel, confidential employees, and supercisors as defined by the Act. Unit Sought: Included: All full time and regular part time Casino and Racetrack security officers performing guard duties as defined in section 9(b)(3) of the Act, employed Excluded: Office Clerical employees, professional employees and supervisors as defined in the Act and all other employees. 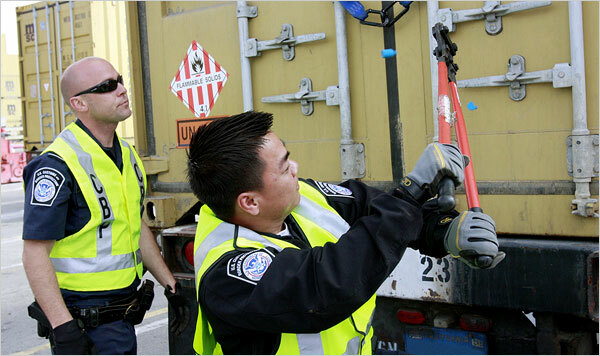 Unit Sought: Included: All full-time and regular part-time and unarmed security officers employed by the Employer. Excluded: Professional employees, managerial employees, office clerical employees and supervisors as defined in the Act. 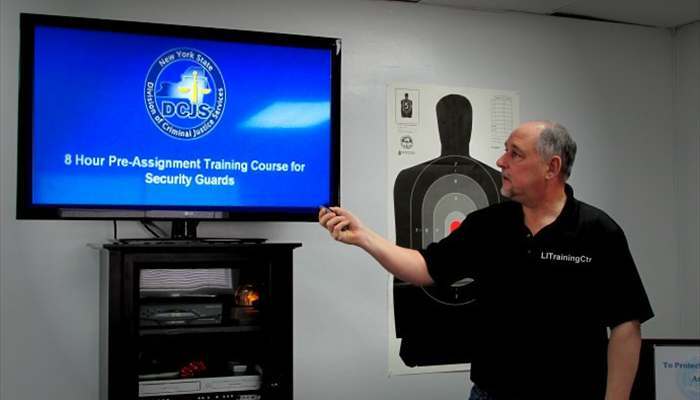 Certified Representative: The Protection & Response Officers of America, Inc.
Unit Sought: Included: All full-time and part-time armed and unarmed Vault Officers performing guard duties as defined in Section 9(B)(3) of the National Labor Relations Act, employed by Loomis Armored @ M1300 South Chester Street, Little Rock, AR 72202 Excluded: All office clerical employees, professional employees and supervisors as defined by the Act. Unit Sought: Included: All full-time and part-time armed and unarmed security officers performing guard duties as defined in section 9(b)(3) of the National Labor Relations Act, employed by Centerra Group, LLC at Goldstone Road, Fort Irwin, CA 92310 Excluded: All office clerical employees, professional employees and supervisors as defined by the Act. Unit Sought: INCLUDED: All security guards. EXCLUDED: All managers, office personnel, confidential employees, and supervisors. Certified Representative: Securitas Security Services USA, Inc.
Unit Sought: INCLUDED: All security Guards. EXCLUDED: Managers, Office Personnel, Confidential Employees, Supervisors. 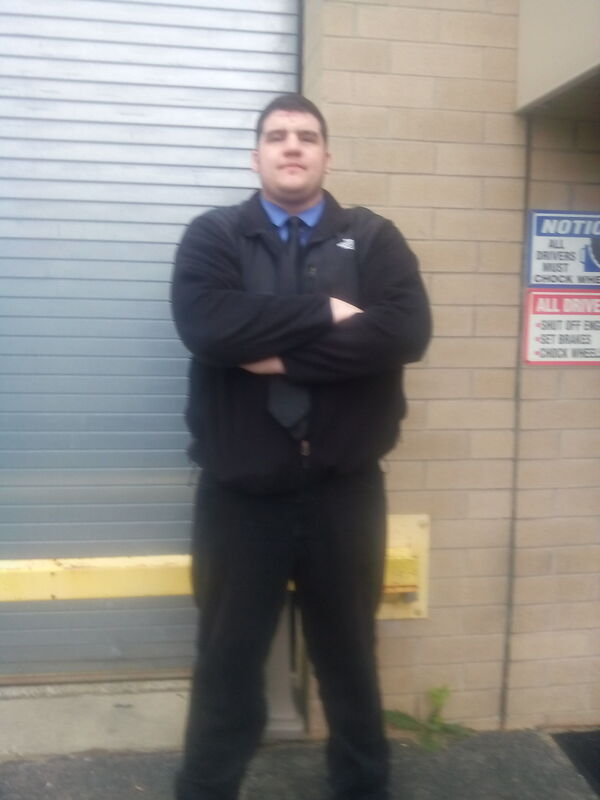 Certified Representative: United Federation of Special Police and Security Officers, Inc.
Unit Sought: Included: All Full-time and regular part-time driver/messenger guards and vault custodians who perform guard duties as defined by Section 9(b)(3) of the National Labor Relations Act, as amended, employed by the Employer at its Pittsburgh, Pennsylvania facility. The Parties are not in agreement over the eligibility of the premise guards, and thus premise guards are neither included nor excluded for the unit. Excluded: All office clerical employees, Cash Vault Services (CBS) employees, and professional employees and supervisors as defined in the Act, and all other employees. Unit Sought: Included: All full-time and part-time security officers employed by the Employer. Excluded: All office clerical, professional employees, supervisors and other management personnel as defined by the Act, as amended. Unit Sought: Included: All full-time and part-time security officers employed by the Employer Excuded: All office clerical, professional employees, supervisors and other management personnel as defined by the Act, as amended. Unit Sought: Included: all full-time and part-time armed and unarmed Security Officers employed by the Employer on the DHS contract stated above. Excluded: Clerical, managerial, salaried and supervisory personnel as defined in the Act. Unit Sought: All full-time and part-time armed and unarmed security officers employed by the employer. Excluded: Clerical, managerial, salaried, and supervisory personnel as defined by the Act. Unit Sought: Included: All full-time and part-time security officers employed by the Employer. Excluded: All office clerical, professional employees, supervisors and other management personnel as defined in the NLRA, as amended. Unit Sought: Included: Security, Statue of liberty, Liberty Island, Battery park coast guard station, Ellis Island & Liberty State Park Excluded: Administrative and clerical employees, confidential employees, non-guard employees, managerial personal & professional employees & supervisors as defined in the Act. Unit Sought: All full-time and part-time campus security officers and security dispatchers. Excluded: All managers, directors and supervisors. Unit Sought: Included: All full-time and part-time armed and unarmed security officers performing guard duties as defined in Section 9(B)(3) of the National Labor Relations Act, employed by Loomis Athens, GA Branch @ 265 Commerce Bldg, Ste 14, Athens, GA 30606. Excluded: All office clerical employees, professsional employees and supervisors as defined by the Act. Unit Sought: All full-time and share-time Court Security Officers and Lead Court Security Officers employed by the employer in the 6th Federal Judicial Circuit in the Eastern District of Kentucky at the U.S. Courthouse 101 Barr Street, Lexington, Kentucky, the Carl Perkins Federal Building, 1405 Greenup Avenue Ashland, Kentucky, the U.S. Courthouse 35 West 5th Street Covington, Kentucky, the John C. Watts Federal Building 330 West Broadway, Frankfort, Kentucky, the U.S. Courthouse 310 South Main Street, London, Kentucky, and the U.S. Courthouse 110 Main Street, Pikeville, Kentucky, and excluding all office clerical employees, professional employees, confidential employees and supervisors as defined in the Act. Unit Sought: Included: All full-time and part-time armed and unarmed security specialists performing guard duties as defined in Section 9(B)(3) of the National Labor Relations Act, employed by Hana Group, Inc.@ Russell Knox Building located 27130A Telegraph Road, Quantico, VA 22134 Excluded: All office clerical employees, professional employees and supervisors as defined by the Act. Unit Sought: Included: All full-time and share-time Court Security Officers and Lead Court Security Officers employed by the Employer in the 6th Federal Judicial Circuit at the Joseph P. Kinneary U.S. Courthouse, 85 Marconi Boulevard, Columbus, Ohio and the Schaaf Building, 170 North High Street, Columbus, Ohio. Excluded: All office clerical employees, professional employees, confidential employees and supervisors as defined in the Act. Unit Sought: Included: All full-time and regular part-time security officers and sergeants employed by the Employer at its facility located at 1800 F Street, N.W., in Washington, DC Excluded: Lieutenants, captains, office clerical employees, managerial employees, professional employees and supervisors as defined in the Act. Unit Sought: Included: All regular part-time and full time Protective Service Officers engaged to provide Security Services on all of the Employers contracts with the Federal Government in the New York City metropolitan area including all five boroughs. Excluded: All clerical, confidential, managerial and supervisory personnel as defined in the National Labor Relations Act. Certified Representative: UNITED FEDERATION OF SPECIAL POLICE & SECURITY OFFICERS, INC.
Unit Sought: INCLUDED: ALL ATM DRIVERS, MRDDRNGERS, GUARDS, EMPLOYED BY THE EMPLOYER AT THE ABOVE LOCATION. EXCLUDED: ALL SUPERVISORS, MANAGERS, SECRETARIAL STAFF AS SET FORTH IN THE NLRA. 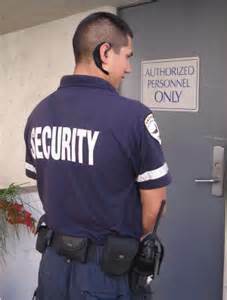 Unit Sought: Included: All Full and Part Time Security Officers working for the Employer out of the Olyphant, PA hub. Excluded: All Clerical, professional, managerial and supervisors as defined by the Act. 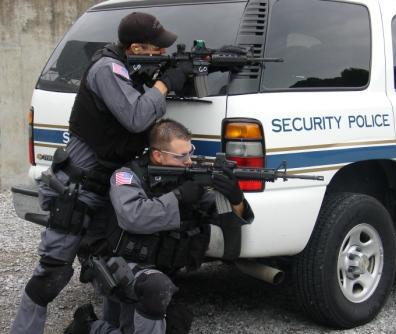 Unit Sought: Included: All full-time and regular part-time protective security officers and sergeants performing guard duties on the employer’s contract with the Federal government in New Jersey as defined in section 9(b)(3) of the NLRA. Excluded: Administrative, clerical, supervisors and managers, and non-guard employees as defined by NLRA. Unit Sought: INCLUDED: All security officers employed by MVM, Inc. under Federal Contract #HSHQE2-14-D-00004 at its facilities in Aguadilla, Mayaguez and Cabo Rojo, PR. EXCLUDED: All other employees and Supervisors as defined in the Act. Unit Sought: Included: Any and all full time and part time security officers. Excluded: Clerical personnel, secretarial personnel, supervisory personnel and management personnel. Unit Sought: Included: Surveillance Operators. Excluded: Supervisors and all other employees. Unit Sought: Included: All full-time and part-time armed and unarmed security officers, including direct care and youth workers performing guard duties as defined in section 9(B)3 of the National Labor Relations Act, employed by Spectrum Juvenile Justice Services at Lincoln Center, 1961 Lincoln, Highland Park, Michigan and Calumet Treatment Center, 300 Glendale, Highland Park, Michigan Excluded: All office clerical employees, professional employees and supervisors as defined by the Act. Unit Sought: Included: All Full and Part Time Security Officers employed by the employer working at the Las Vegas New York New York Hotel and Casino Facility located at 3790 Las Vegas Blvd., Las Vegas, NV 89109 and related properties. Excluded: All other employees to include Clerical, Administrative, Professional, Managerial, and Supervisory as defined by the National Labor Relations Act. Unit Sought: Included: All full-time and regular part-time Security Officers, including per diem security officers, employed by Staten Island University Hospital at its facilities located in Staten Island at 475 Seaview Avenue, and 392 Seguine Avenue, all locations are in Staten Island New York. Excluded: All supervisors, clericals and all others excluded under the Act. Unit Sought: Included: All full-time and part-time security officers working at USDA located on Mammendale Road, and on Ivy Lane in Bethesda, MD Excluded: All lieutenants, captains, clerical employees and supervisors as defined by the Act. Unit Sought: INCLUDED: ALL REGULAR FULL TIME AND PART TIME GUARDS, DRIVERS, MESSENGERS, LEAD, VAULT, CUSTODIANS, EMPLOYED BY THE EMPLOYER AT SAID PREMISES AND SATELLITE PREMISESSES. EXCLUDED: ALL SUPERVISORS, CLERICAL, EMPLOYEES AS PER THE ACT. Unit Sought: Included: All full-time and part-time security officers working at 7980 Science Application Ct. in Vienna, VA Excluded: All lieutenants, captains, clerical employees and supervisors as defined by the Act. Unit Sought: Included: All armed and unarmed Security Officers employed by the Employer performing guard duties as defined by Section 9(b)(3) of the National Labor Relations Act, assigned to federal facilities throughout the state of South Carolina, under the company’s contract with the Department of Homeland Security, Federal Protective Service. Excluded: Office clericals, managerial personnel, confidential personnel, supervisors (lieutenants and Captains) as defined by the National Labor Relations Act and those non-hired individuals participating in the Employer’s pre-hire training program. Unit Sought: Included: All full-time and regular part-time Security Officers, including Per Diem Security Officers, employed by Staten Island University Hospital at its facilities located in Staten Island at 475 Seaview Avenue, 450 Seaview Avenue, 242 Mason Avenue, 256 Mason Avenue, 111 Water Street, 375 Seguine Avenue, and 392 Seguine Avenue. Excluded: All other employees, lieutenants, sergeants, managerial employees, and supervisors as defined in the Act. Unit Sought: Included: All full-time and regular part-time security and fire protection officers. Excluded: All supervisors as defined by the NLRA. 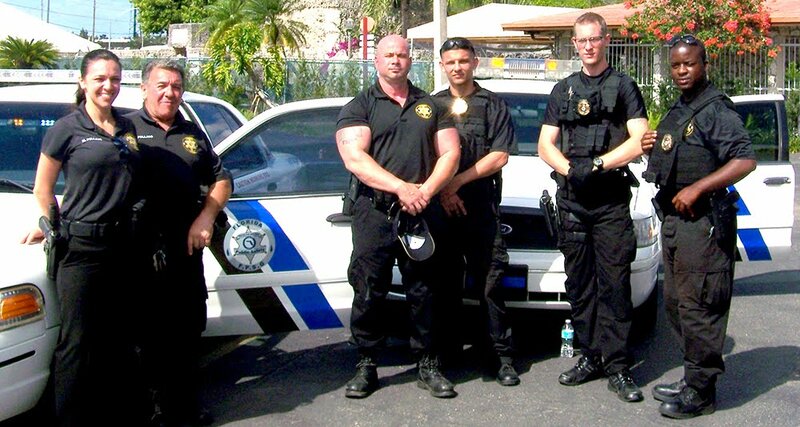 Unit Sought: ALL FULL-TIME AND PART-TIME ARMED AND UNARMED SECURIY OFFICERS, CAPTAINS, AND FIREFIGHTERS PERFORMING GUARD DUTIES AS DEFINED IN SECTION 9(B)(3) OF THE NATIONAL LABOR RELATIONS ACT EMPLOYED BY UNIVERSAL PROTECTION SERVICES OF AMERICA@ OLIN BRASS LOCATED 305 LEWIS & CLARK BLVD. EAST ALTON, IL 62024. EXCLUDING: ALL OFFICE CLERICAL EMPLOYEES, PROFESSIONAL EMPLOYEES AND SUPERVISORS AS DEFINED BY THE ACT. 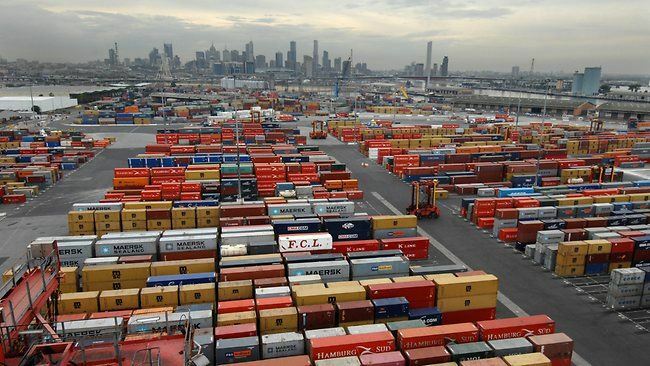 Universal Protection Service Security Officers working on the Docks of New Jersey have voted unanimously to Join the Law Enforcement Officers Security Unions (LEOSU). 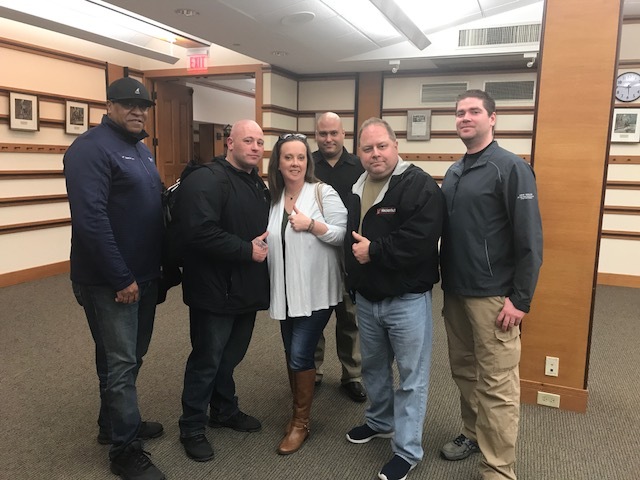 Jersey City New Jersey- On April 4, 2016 the security officers who work on the New Jersey docks for Universal Protection Service UPS voted unanimously to Join the Law Enforcement Officers Security Unions (LEOSU). The National Labor Relations Board (NLRB) in Newark ran the mail ballot election. Steve Maritas, Organizing Director for the LEOSU Union noted that these Universal Protection Service Security Officers have to have special waterfront licenses to work on the docks of New Jersey, and as such should be compensated by their special training according to the area rate or above. Maritas noted, once we are certified by the National Labor Relations Board (NLRB) which should be in about ten (10) days, the Union, LEOSU and its attorney’s will begin the process of collective bargaining to improve wages, benefits and other conditions of employment. The Law Enforcement Officers Security Unions (LEOSU) affiliated with the Law Enforcement Security & Police Benevolent Association (LEOS-PBA) have recently won several elections in the Washington DC area and presently are awaiting results of mail ballot elections. In addition the LEOSU is presently in the process of organizing several other locations in New York, New Jersey, Washington DC, Rhode Island, North Carolina and throughout the United States. Universal Protection Service is one of the largest providers of security services in North America and is recognized as the premier service provider in every market that we serve. 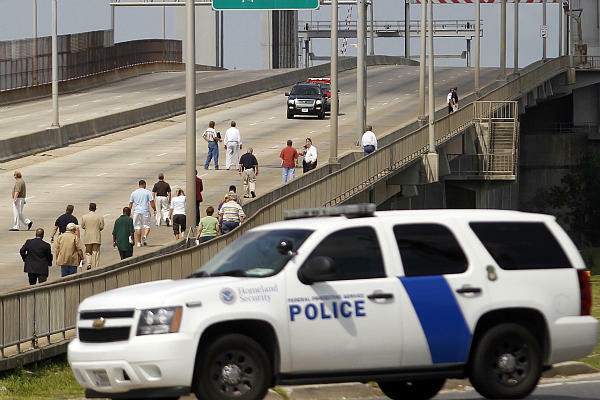 We also offer our clients Safety Act protection from the Department of Homeland Security, ensuring customers receive liability protection at the highest level. 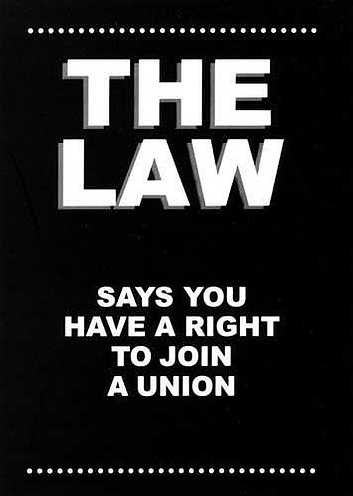 For more information on how to form or joining a security union at your work location, you should contact Steve Maritas, Organizing Director for the Law Enforcement Officers Security Unions (LEOSU) at 1-800-516-0094.